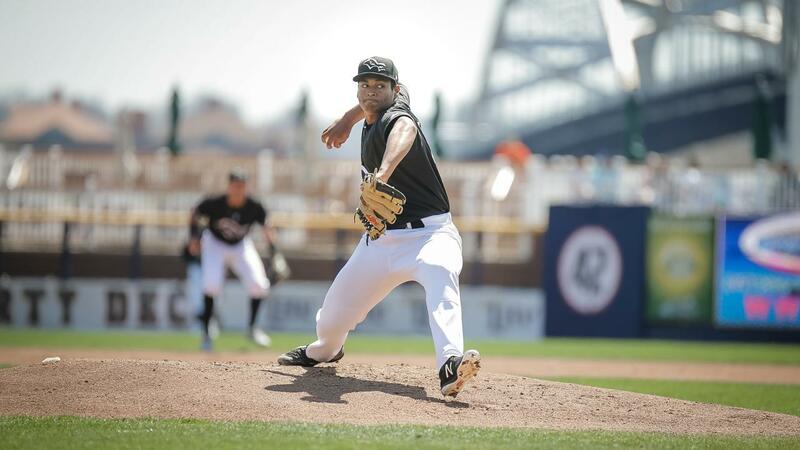 The Quad Cities River Bandits recorded their league-leading 12th shutout of the season by defeating the Cedar Rapids Kernels 6-0 on Sunday afternoon at Veterans Memorial Stadium. Parker Mushinski, Luis Garcia and Tanner Duncan combined to limit the Kernels to just two hits. The River Bandits fired out of the gates, putting up a crooked number in the first inning against Kernels starting pitcher Jordan Balazovic. Marty Costes opened the game with a bouncer up the middle. He went to third base when Seth Beer dropped a shallow single into center field. The hit extended Beer's hitting streak to 15 games. Colton Shaver went the other way with a two-RBI triple into the right field corner to put the Bandits on the board. Alfredo Angarita increased the lead with a double down the left field line that brought Shaver home. Ruben Castro finished off the outburst with an RBI single past third to make it 4-0. After neither team scored for the next four innings, the Bandits added to their lead in the sixth. Angarita opened the inning with a triple that landed on the warning track in right field. Castro drove him in by lifting a sacrifice fly into center field and the lead was 5-0. In the top of the eighth, Shaver and Chandler Taylor opened the frame with back-to-back singles. Miguelangel Sierra took advantage by lining an RBI single into left field to score Shaver and widen the gap to 6-0. Mushinski went 4.0 scoreless innings and allowed just one hit. He walked six, the most in a game this season for a Bandits pitcher. Garcia followed with 4.0 scoreless innings of his own out of the bullpen to earn the win. He allowed just one hits and walked four. Duncan closed out the game by retiring the side in order in the ninth. The River Bandits outhit the Kernels 13-2. Shaver led all hitters with three hits and two runs batted in. Castro also drive in two runs. Joining them with two hits were Sierra and Angarita. The River Bandits (19-16, 59-46) resume the series against the Cedar Rapids Kernels (25-11, 57-48) on Monday night as the set shifts to Modern Woodmen Park. First pitch is slated for 6:35 p.m. The Bandits will hand the ball to RHP Cesar Rosado (4-2, 4.16) on the mound against Kernels RHP Jhoan Duran (5-4, 4.73).